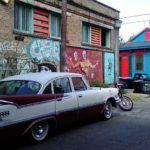 Something different, flexible, creative, yet true to history… NOLA Detours strives to show what the city’s all about with small walking and driving tours that stray from typical tourist spots. You deserve authentic yet affordable experiences. I’m a lifelong resident of New Orleans and was raised in the French Quarter hospitality industry. I take pride in the city being one of the most interesting places in the world. The various tours are tailored to show you New Orleans as personally and as locally as it gets! 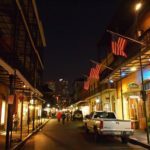 I strive in customizing each tour to tailor your needs to make the most genuine New Orleans experience possible. To our German speaking friends: ich spreche Deutsch! You will be picked up in front of your hotel by either a sedan or a passenger van, depending upon your needs. Most tours will run rain or shine and are subject to a 3 day cancellation notice. Check out a few of the available driving, cocktail, and cuisine tours! We begin our tour at the Historic Royal Orleans Hotel where we will go up to the rooftop bar that overlooks the 300 year old city and the beautiful Mississippi River as we learn some basic historical facts. BAck down on St. Louis street we start our walking tour. I’ll introduce you to some of the French Quarter’s oldest dining institutions and bars. With my upbringing in this city and in the restaurant business, I have learned what places are worth paying a visit. We explore the cultures of places like the Napoleon House, Tujaque’s, Antiones, Hotel Monteleone’s revolving Carousel bar, the famous Pat O’Briens and one of the oldest bars in America, Lafitte’s Blacksmith Shop and more. Enjoy historic drinks such as the Sazerac and the Pimms cup and the amazing history of hte hallucinatory Absinthe at the Pirates Alley Bar. You will learn the culture behind each building and each historic drink and their unique food traditions. Experience traditional gumbo, classic shrimp remoulade, original Italian Muffuletta, Brennan’s bananas foster, and more. There is always a backstory in this city, especially in the food industry! Walk with me and learn personal anecdotes about some of New Orleans most famous restaurants and chefs. We will go behind the scenes in the kitchen and take a tour through the oldest restaurant in America, Antoine’s since 1872. 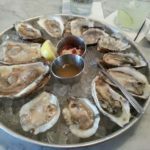 Not only is our culinary cocktail culture explored, but also the Historic landmarks like the St. Louis Cathedral, the French Market and many other architecturally impressive buildings that are among us. Let’s go and follow me. FUNKY NOLA SHOPPING – Get off the map and get outside the city. 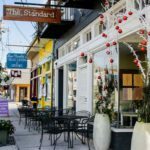 Experience how New Orleans natives shop! I drive you to the vintage New Orleans shopping streets. Forget typical tourist shops; our city has amazing fashion. Go off the beaten path to places like in the Marigny district, famous Magazine street, or hidden gems in the French Quarter. We go over the history of each area visited to make your day more memorable. Go back home with comfort in knowing you dove deep and with respect in each and every aspect of New Orleans’ way of living. A once in a lifetime opportunity: to experience what it’s like to be gliding across some of Louisiana’s most secluded swamps on a high-speed airboat. Get up close and personal with our wildlife, specifically our alligators. Our airboat driver grew up in the swamps and will inform you of the history of the land which is barely covered by traditional tours. End it with an authentic Cajun lunch at Spars in Des Allemands, LA. One thing about this city no one forgets is the various styles of architecture: this diverse, hip area full of colorful shotgun houses and corner stores will make you never want to leave. We walk through cemeteries and visit old churches, check out local murals, notorious street art, as well as the famous Banksy painting off of Rampart Street. This is a very interactive tour with lots of intrigue in one the nation’s fastest growing neighborhoods.